Free STEAM Programming for Middle Schoolers! 3D Printing, Lego Robotics, and more! TV shows, comics, and more. on hoopla digital! No holds! 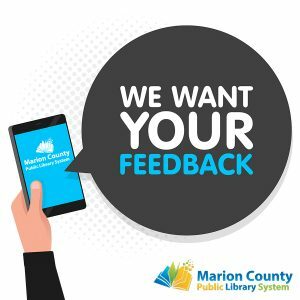 Every five years, the Marion County Public Library System devises a new strategic plan to help guide library decision making. An important part of our strategic plan is you, the citizens of Marion County!